3. click on BUY NOW button. Wait for being redirected back to our website after payment. Cards are delivered instantly when you pay through Perfect Money. If you pay with Bitcoins or Ethereum you would receive the card as soon as your payment gets 3 confirmations in Coinpayments system. It may take up to 30 minutes. You will be redirected to the page with your card info. To buy Virtual Credit Cards with Dash, Bitcoin Cash or Webmoney, please contact our Support Team. After receiving the virtual card, register the card using the link in the Card Registration menu. 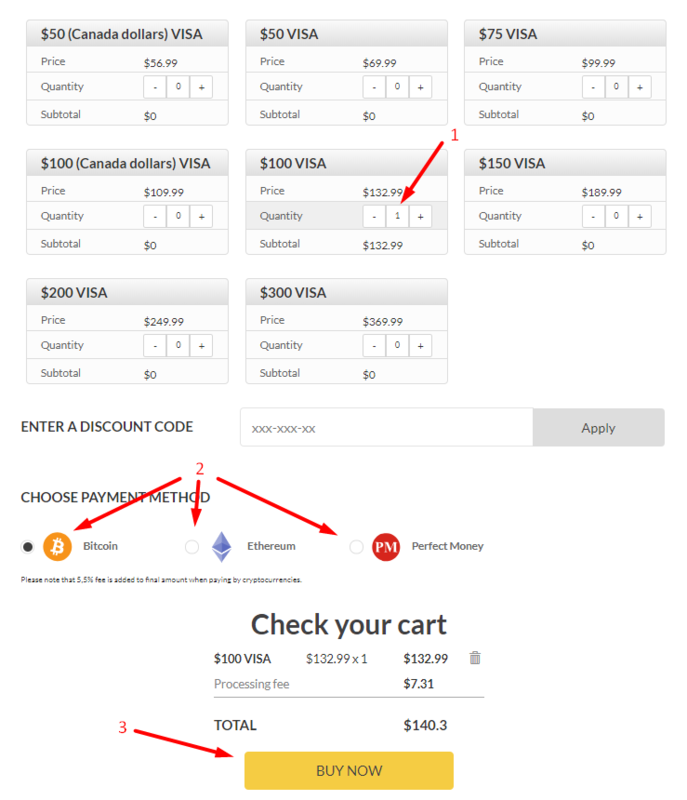 If you bought Canadian Virtual Card, contact Support to register the card. Canadian VCCs are registered by our Support Team.